The Blackmagic Design ATEM Television Studio Production Switcher is a versatile 1 RU switcher that's a lot more powerful than you might expect at this price. 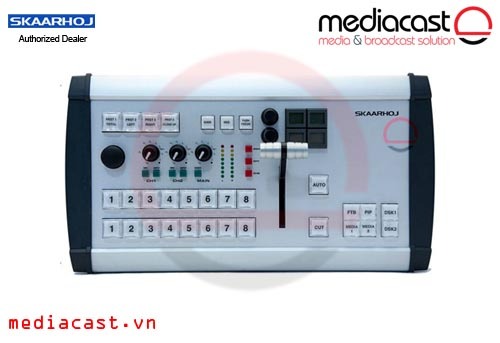 For instance, live-switch a multi-camera shoot of a concert with a mix of high-definition HD-SDI- and HDMI-output camcorders - the six-input ATEM Television Studio can handle it, even applying a frame sync to each input. That means expensive genlocked cameras are simply not necessary. The three keyers included in the ATEM Control Panel software allow you to add professional graphics such as logos and keys (the switcher features two media player frame stores). Using a green screen, you can even chroma-key a performer against a graphical background - live. Meanwhile, you can be encoding the live concert to H.264 in real time, producing a high-quality, professionally compressed HD file that will be ready for easy upload to the web the minute the show is over. 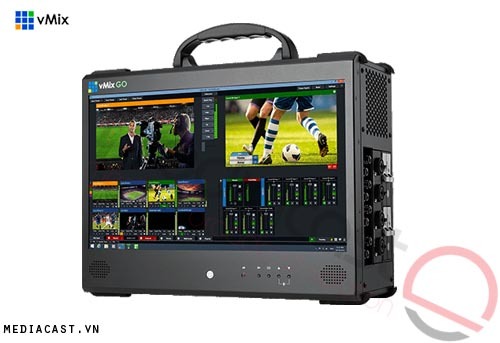 Another cost-saving feature is the multi-view output, which allows you to display up to 10 video sources on any HDMI- or HD-SDI-enabled screen. This saves not only money but also space: there's simply no need to transport and maintain a full battery of video monitors. For all its ease of use, ATEM Television Studio also accommodates live-production operations with growth in mind. 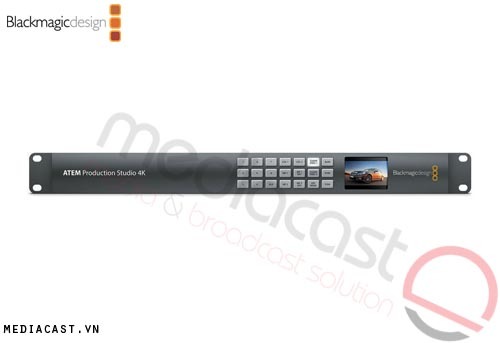 Perhaps you'll move up from HDMI to HD-SDI camcorders in the near future - the switcher is ready. Or maybe you'll want a professional hardware control panel - Blackmagic's ATEM 1 M/E and 2 M/E panels (not included) both connect to the switcher via Ethernet. In any case, the switcher's operation will be familiar to anyone with an understanding of broadcast switching. This is a professional 10-bit HD switcher that just happens to accommodate lower-budget productions with unexpected finesse. The Internet is the television transmitter for the masses, so now ATEM Television Studio lets you do live production and simultaneously generate H.264 files for the web - all in real time. The moment your event is finished, your encoded file is ready for distribution. Imagine covering events that previously could never justify the cost of a professional multi-camera production, such as local government meetings, school productions, local sports, car racing, concerts, weddings, bands, communities, air shows, and many more. 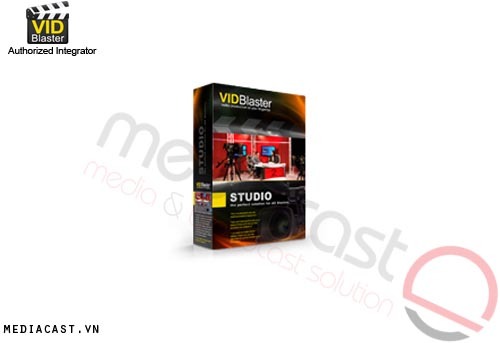 ATEM Television Studio might be small at only 1 RU, but it's packed with professional power. 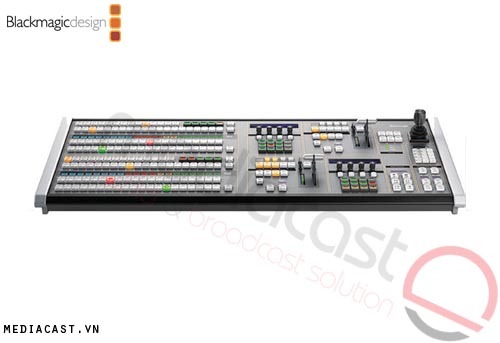 ATEM includes all the same features as the most powerful switchers used in broadcast, and is not "dumbed-down." This means you get professional results, and a familiar M/E style of operation. ATEM is affordably priced because you can get started with only the switcher chassis and a software based control panel! Then when it's time to add dedicated hardware control, you get only the best because ATEM uses premium quality switches, faders and joysticks that are normally only found on the most expensive switchers available. ATEM even uses an FAA certified operating system for a true broadcast grade switcher. For the highest-quality video with extremely low processing delay, ATEM features a fully digital 10-bit design. This means you get the highest quality available from cameras, servers, and character generators, with true 10-bit video quality maintained throughout the entire signal path. Get better chroma keying and seamless layering from HDMI and SDI sources so all your video maintains that pristine, broadcast-quality look. You simply get more features with ATEM Television Studio. You get an upstream keyer, with chroma, pattern, shaped, and linear keying. You also get two downstream keyers and independent fade to black. 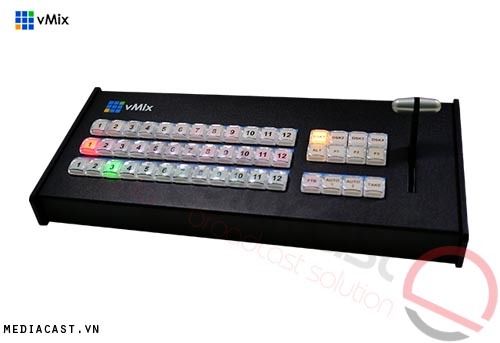 This powerful feature set means you can produce true professional broadcast-style live productions. When you're on the move, the built-in multi-view monitoring totally eliminates monitoring costs, but for the cost of a single screen. ATEM represents an excellent mix of creative features, quality, and affordability. ATEM is a truly creative solution for live switching. All transitions are instantly available via a button push on the software control panel, and they include the same cut, mix, and wipe found on traditional mixers. It's simple to load clips into the two built-in media player frame stores for exciting logos and custom titles. If you're doing green screen shoots, the ATEM keyer has you covered, with full chroma keying. Imagine loading a rendered background and using the chroma keyer for an affordable virtual set. 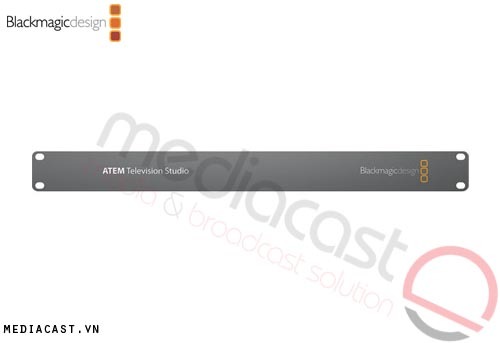 ATEM Television Studio also includes two downstream keyers so you can add graphics such as "live" and "replay." You get professional results with the ATEM Television Studio. 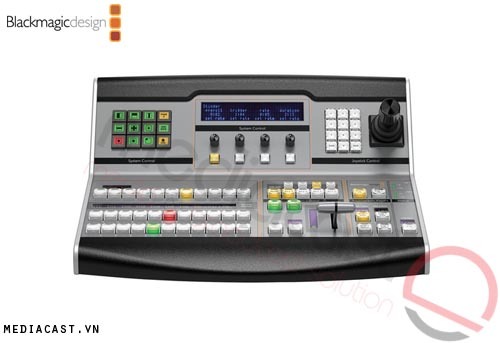 Incredible Features ATEM includes all these broadcast features at an affordable price: You get four upstream keyers, each with independent chroma, pattern, shaped, and linear keying. You also get two downstream keyers and independent fade to black. Add unprecedented creativity with graphic wipes and stinger transitions using the two built-in media players. For the ultimate in professional live production, you can use the built-in DVE for amazing DVE transitions or key repositioning. When you're on the move, the built-in multi-view monitoring totally eliminates monitoring costs because all cameras, preview, and program can be viewed on a single SDI or HDMI monitor - multi-view has outputs for both. For the ultimate in portability, every ATEM production switcher includes a beautifully designed software control panel, so you can use your switcher from your Mac or PC laptop. ATEM lets you start at a lower cost because you are not forced to buy a control panel. 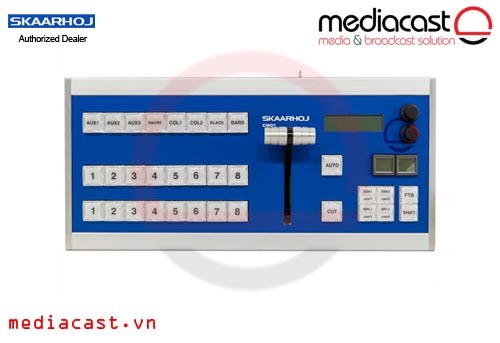 When you're ready to move up to a hardware control panel, then the ATEM 1 M/E Broadcast Panel can be connected via the built-in Ethernet connection. In the meantime, ATEM software control provides a professional M/E workflow control panel with parameter adjustments in simple-to-use palettes. You can manage the switcher media pool and adjust all settings. The switcher control software also includes full keyboard shortcuts. ATEM includes two built-in media player frame-stores so you can save thousands of dollars by eliminating external character generators. Because media players are built into ATEM, you get a fantastic portable solution. Media players are great for logos, backgrounds, lower thirds, bugs, and more! You can route the media player frame-stores to any switcher input, upstream keyer, downstream keyer, or background. Save thousands of dollars on costly camera monitoring with ATEM's built-in multi-view. 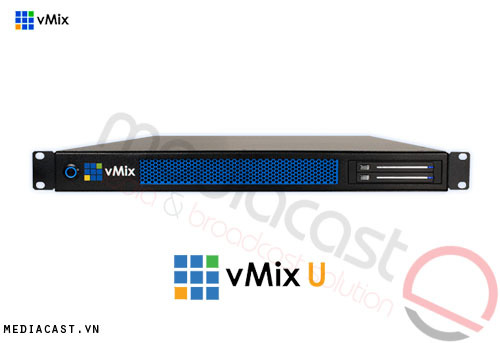 Multi-view allows 10 channels of video to be displayed on a single SDI or HDMI television or monitor. You can customize the labels and set safe-area markers on the preview display. Multi-view includes tally, so on-air sources have red borders and preview sources have green borders. ATEM is so portable because you only need the ATEM chassis, laptop, and a single television for a complete multi-camera production environment. Simply connect a single HDMI monitor for a complete solution. 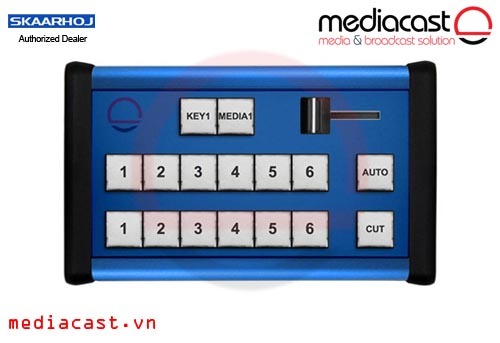 ATEM Television Studio is a professional broadcast SDI switcher that also includes loads of HDMI connections, so you can start affordably with consumer HDMI cameras. Unlike other switchers, every single video input features an automatic frame re-synchronizer, so you can plug in any device and it always works. That means you can save thousands because you don't need expensive genlock cameras, and you can even plug in computers. Imagine getting started with sophisticated multi-camera production using the latest low-cost and high-quality HD consumer cameras. ATEM Television Studio includes SDI and HDMI program outputs, and you can connect the USB 2.0 port to any computer to record your program feed live, directly to high-quality H.264 files for the web. ATEM Television Studio includes built-in black, bars, media player, and color generator sources. 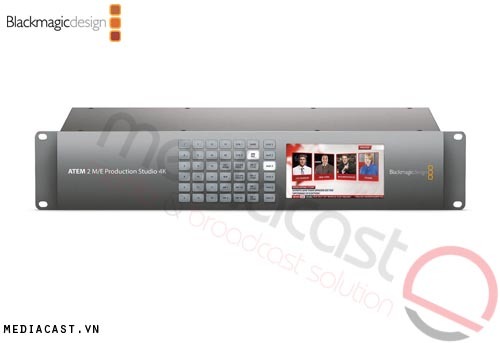 The ATEM Television Studio includes both SDI and HDMI multi-view outputs. For incredible character and title generation, every ATEM includes a Photoshop plug-in that lets you instantly download graphics and titles from Photoshop directly into the ATEM media pool. Imagine the moment a live event happens, you can update your Photoshop file and instantly download it into the ATEM media player: Now you can get titles on air in seconds. Because Photoshop is the standard tool for millions of graphic designers, it's easy to get help to create your own custom graphics. ATEM supports rendered stills and clip sequences from Photoshop, After Effects, Final Cut Pro, Premiere Pro, and many more programs.